Pro Pinball, the world’s most realistic pinball simulation is back, better than ever! 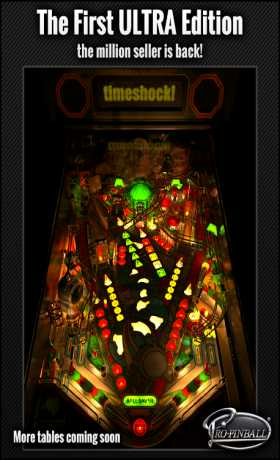 Featuring the first of the ULTRA editions – Pro Pinball: Timeshock! 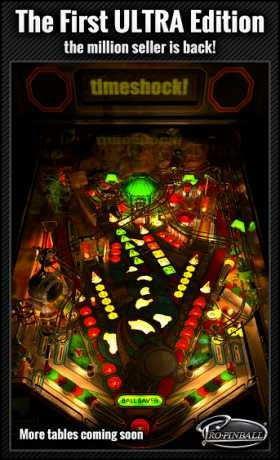 • The ultimate pinball physics engine! • More content packed in than many regular tables put together – Multiballs, Wizard Modes, Video Modes, Spinners, Jet Bumpers, Magnets, Drop Targets and just about everything else you can imagine! You can upgrade at any time to the Deluxe version which also gives you full access to the Operator’s Menu (and hundreds of settings) and the brand new Glass-Off Mode.